Come enjoy the start of spring and a day of outdoor fun! This year marks the return of the popular off-road duathlon. With long and short course events, as well as a Relay Team category, this is the perfect event to get the year started off right! Not a runner? 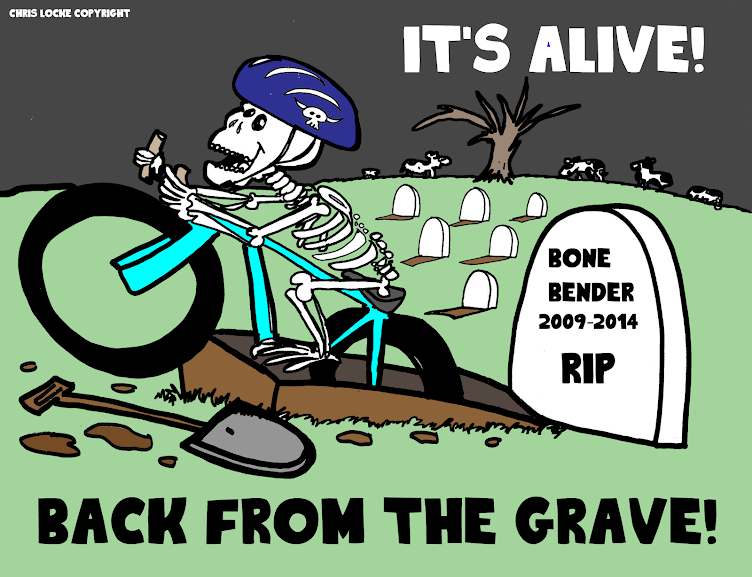 New to mountain bike racing? Try the NEW Dirty Dirt Time Trial Mountain Bike Race, and race the clock on a single lap of the off-road course. 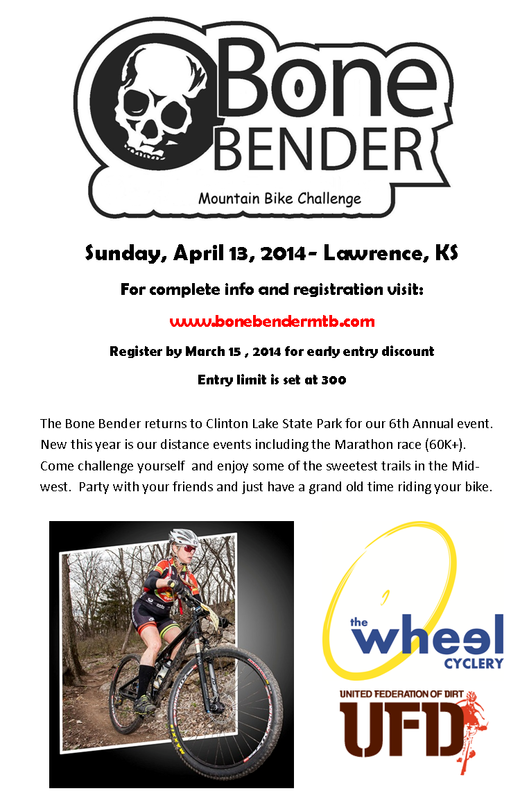 Both events will be held at the Lawrence River Trails in Lawrence, KS, where you’ll find a combination of flowing dirt single track, bermed corners, and small rolling climbs. Both beginners and experts will enjoy these fast and fun trails. Pre-registration for all events is encouraged, as the event will be capped at 200 participants. Calling All Ladies!!! Hellcat Racing, Kansas City’s premier women’s cycling club, will be sponsoring a women’s VIP tent with refreshments throughout the day’s festivities. 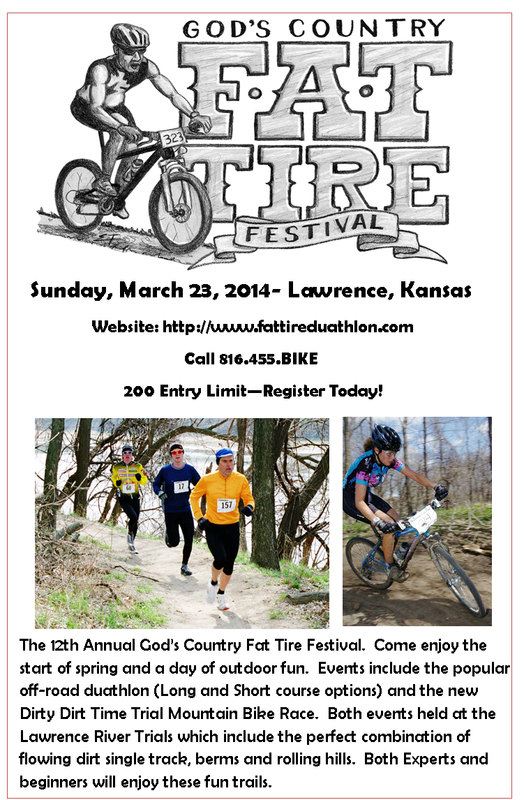 Stop by and pick up a ride or event schedule, meet the ladies, and cheer for the racers going for the glory!